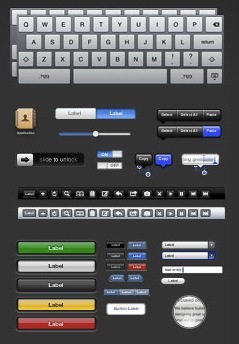 If you plan on developing or designing for the iPad this could be very valuable to you, the folks over at teehan+lax have created a fantastic PSD file of the iPad’s GUI elements, all arranged quite well. The elements are created using vectors so they’re completely scalable, and the files resolution and design is set to the iPad’s screen resolution of 768×1024. It doesn’t get much more convenient than this! Developers efforts for the iPad are already underway but it is really set to take off as the device is going to ship to consumers soon, and I for one can’t wait.